Good news Mi fans! The Mi Stores in TriNoma Mall, SM Megamall, and SM North EDSA Annex now accept purchases through Home Credit. 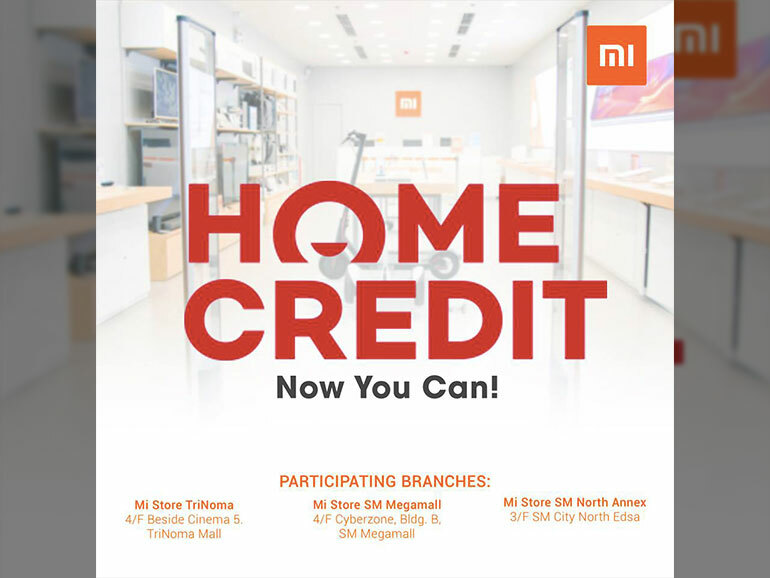 Home Credit will let you to buy Xiaomi smartphones, appliances, and accessories in installments even with no credit card. If you’re wondering what you can buy there, check out our post HERE. Some notable items you can look at include a 32-inch Smart TV. The Mi TV 4 retails for PHP9,990, and features a quad-core processor, 1GB RAM, and 8GB storage. At the time of writing, there are four Mi Stores in the Philippines with two more on the way. The branch in Star Mall Alabang will open on November 30, 2018. It was announced that another one will open at the SM Mall of Asia although no date has been set. Star Mall Alabang (Opening on November 30) – Level 2, Cyberpoint Annex, Starmall Alabang, Muntinlupa City. For Xiaomi Philippines service centers, you may visit this LINK for the full list.